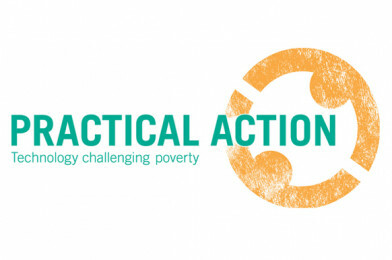 Strengthening its links to the British Science Association’s CREST award scheme, Practical Action have produced more STEM Challenges for you and everything is FREE to download! Ditch the Dirt: Pupils look at the problem of access to clean water in Kenya then design, build and test a water filter of their own. Squashed Tomato Challenge: Challenge your pupils to build a model of a system that can move tomatoes down a mountainside in Nepal… without squashing them! Wind Power Challenge: Pupils research renewable energy solutions around the world then design, build and test their own wind powered machine. Plastics Challenge: After making bioplastics and looking at use of plastics in Nepal, pupils reuse or recycle plastics to produce a product of their own. Beat the Flood: Give pupils the opportunity to test different materials and structures then use results to design, build and test their own model flood-proof house. Design for a Better World: Pupils research technology in the developing world then use their STEM skills to design new technologies to help achieve Global Goals. Stop the Spread: As well as designing and building a model hand washing station, pupils produce education materials for primary children in Kenya. Floating Garden Challenge: How do you grow food in Bangladesh when your land floods? Expect squeals of delight as pupils test their own floating gardens. 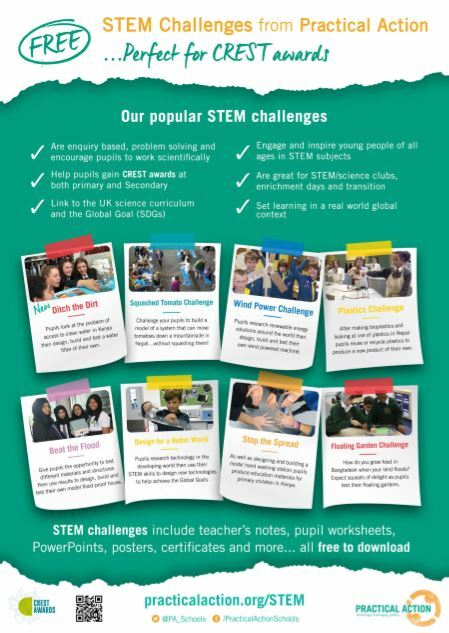 STEM Challenges include teacher’s notes, pupil worksheets, PowerPoints, posters, certificates and more… all FREE to download!